With this product you can accumulate up to 11 Glitter Points. Minimizes waste of the used product. 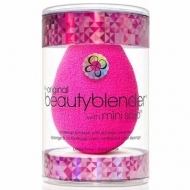 Beauty Blender Pro from Beauty Blender is the first non-disposable applicator sponge, with high definition and independent. This product ensures flawless application without trace and a minimum waste of the product. Use it with primers, foundations, powders, cream blushes and any other product for the face. 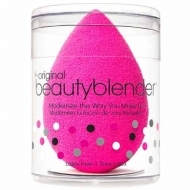 The Beauty Blender sponge has an open cell structure that is filled with small amounts of water when wetted. 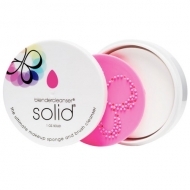 This allows the sponge to be "full" so that the makeup product stays on top of the sponge instead of being absorbed, allowing to be used less product at a time. When wet, this sponge doubles in size and becomes even softer, returning to its original size when dried. Completely wet Beauty Blender in water, squeezing it so there is a greater absorption;Squeeze it to remove excess water and dry it with a towel, that way your Beauty Blender will be ready for use;Place Beauty Blender on your favorite makeup (Liquid, Powder or cream);Apply makeup across the face with little touches without rubbing, until having achieved the desired coverage. 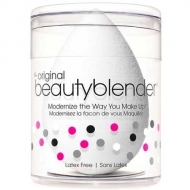 For best results, always wash the Beauty Blender with water if you wish you can also do it with a suitable product for this purpose. Let the sponge dry by placing it on top of the pack. Orders are shipped from Portugal up to 48 hours after purchase (except for stock breakdown or incomplete delivery address). An email with the tracking data and its invoice will be sent at the time of shipment (be aware of your SPAM email box). Deliveries in Portugal are held on the business day following the expedition. All shipments have loss insurance (check deadlines for the selected shipping type). If you are not satisfied with the product consult our return policy. Prices shown include VAT at the rate in force. The discounts indicated are valid until 31 December of the present year, except for stock breach or campaigns specifically created and disclosed for short periods of time.